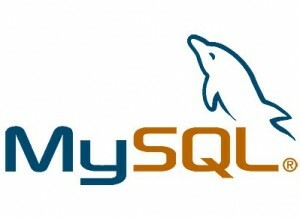 Why doesn’t MySQL Insert If Not exists work????? Bogdan has the answers . First of all, this information relates solely to MySQL and may not apply to MSSQL or PostgreSQL. Well Bogdan has the answers. If the record exists it will be ignored (silently skipped). If it does not it will be inserted. The problem arises when you have a field (most likely an id) which is not added by you. So an auto incremented field. The above code will not skip the insert and will always insert the record in as it is unique because of the auto increment field. That will do the job. However, one important point is that the table cannot be empty it must have at least one field so that is unfortunately a flaw. Who thought a Mysql insert if not Exists would be this (easy) hard. If someone has a better idea please contact me: ME or add a comment. This is a few pointers to use when setting up MySQL Workbench. 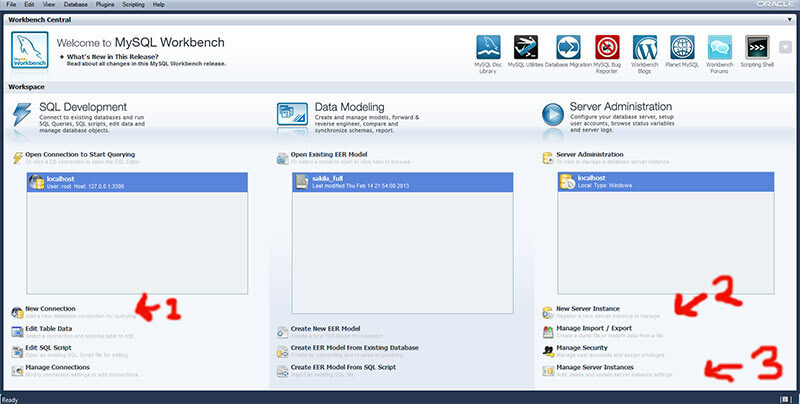 MySQL Workbench is a UI for using mySQL. It makes it easy to manage, create and modify your databases. It also gives tools to model a well structured database for any project you may have. 4. Add new connection, default settings will be localhost so name it “localhost” and fill in your password etc. 6. Click next next next everything should be OK.
7. If you try to connect it will fail, it’ll say something about WMI. So click “Manage Server Instance” (number 3 on the image), make sure you have the correct database selected (probably localhost). Next click “Manage Connections…”. Now Once the window has opened you do not need to do anything just close it. 8. Now you can double click “localhost” under “Server Administration” and you can administer your server. Then double click open connection to start querying on the left and you can start creating and querying tables in your database.